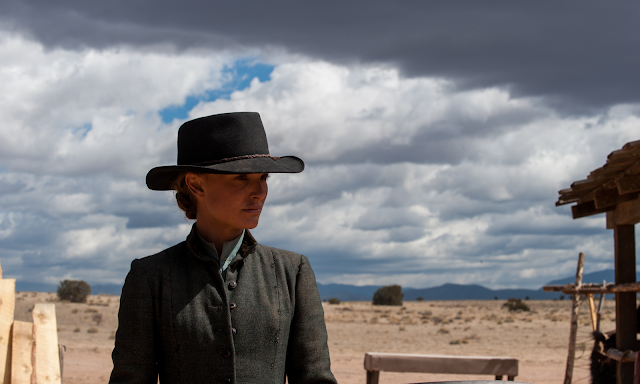 The sumptuous sunlight of the American west is the highlight of Jane Got a Gun. Sombre and gritty, ashen and melancholy, the film perfectly paints the mood with natural light as Natalie Portman’s titular Jane grabs her pistol and takes control of the saddle to whack some baddies and avenge the family she lost. Throw in a fiery midnight showdown worthy of Skyfall and Walker’s cinematic gunslinging makes this arthouse westerner a satisfying ride. It’s refreshing to see some elements of true greatness in Jane Got a Gun given the film’s long and troubled path to its release. Given the film’s sumptuous visual palette and elliptical, episodic pace, one only wonders what Jane might have achieved with its original director, Lynne Ramsay (We Need to Talk About Kevin). However, the relatively straightforward direction of Gavin O’Connor (Warrior) gets the job done well enough, although issues of tone, pace, and focus make Jane mark Jane’s rocky ride. The film mostly follows the path of retribution as Jane embarks on a revenge mission when her ignoramus of a husband, Bill (Noah Emmerich), rides home with a bullet in his gut and a forecast for baddies rolling in a like storm. Jane, not willing to wait for the bullets to rain on their little ranch, parks their daughter at a friend’s house and trots over to the neighbour’s to hire a gun. Said gun, though, is her former flame, Dan (Joel Edgerton), whom she believed to be dead before she rode a ticket that brought her to Bill. 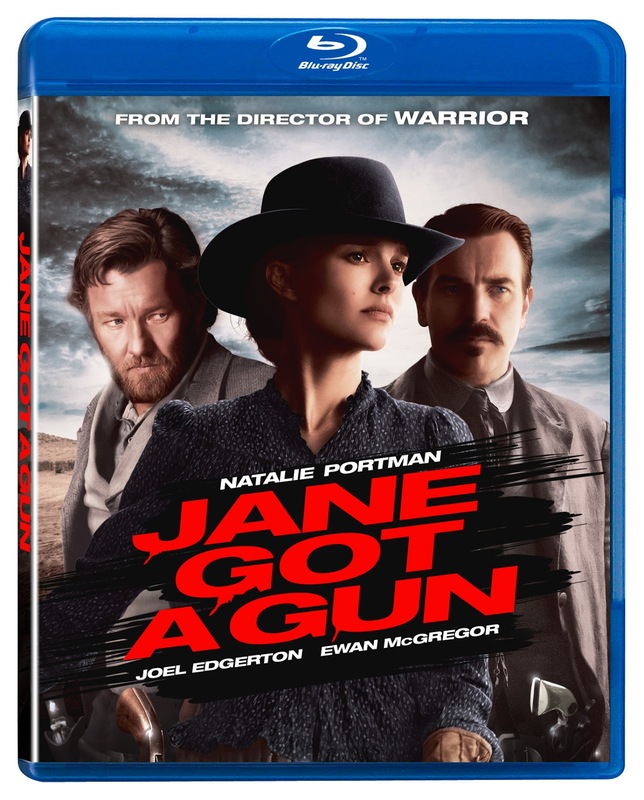 The target in Jane’s sights is an outlaw by the name of Dan Bishop (Ewan McGregor). He’s a man from Jane’s past, as the film gradually reveals, and a baddie of disreputable ambitions. The posters want him dead or alive, so it’s good news for Jane, Dan, and their mutual endeavours. McGregor is horribly miscast, though, and while his mustachioed gentleman is a little slimy, he seems relatively harmless and more likely to be Jane’s three-hour brunch friend than the number one target on her kill list. The film therefore lacks a sense of menace to Jane’s hunt, but it’s also far more effective as a character study of loss and family loyalty than as an action flick. Jane Got a Gun unfolds the murky reasons behind Bill’s gut shot and the baddies Jane aims to kill while intercutting flashbacks of her short-lived romance with Dan. Some of these trips to the past are random and abrupt cutaways, like a happy hot air balloon ride that seems cheerily out of place, while others are poignant building blocks for Jane’s complicated backstory. She’s known ample pain in her lifetime and it’s only until the end of Jane Got a Gun that one fully understands the true grit behind Portman’s performance. Portman is characteristically strong as Jane, a rare strong female lead in the world of the western who is equal parts action star and kind-hearted mother. She’s the anti-Annie Oakley, a gunslinger for whom shooting is neither pleasure nor sport. Jane might dress in a skirt, but she doesn’t ride sidesaddle and she clearly wears the pants at her rustic homestead where Bill mostly bumbles. Jane Got a Gun brings a contemporary sensibility to the western as it gradually reveals the story of Jane’s violation by men in power. The payoff isn’t the gunfight, but the re-establishment of the family of which the outlaws rob Jane. It’s best to approach Jane Got a Gun as a gritty portrait of gender roles and frontier family dynamics rather than as a suspenseful action flick. Anyone looking for two tickets to the gun show might be disappointed, so the pensive pace and structuring of the film, not to mention Walker’s unconventional mix of frontier iconography and Malickian awesomeness, make Jane Got a Gun better fare for the arthouse crowd. Jane doesn’t hit the bullseye after her long and tricky journey, but she’s hardly off-target either, as Portman and company explore a new frontier. A/V: Walker’s cinematography looks swell in this 1080p HD transfer and 2.40:1 widescreen. One can only imagine how great it looks on the big screen. 5.1 Dolby True HD sound is fine and this quieter, understated western probably plays well on a variety of home theatre systems. Disc includes both English and français for audio and subtitles. The extras: Jane has a gun, but she doesn’t get any bonus features. The absence of goodies is understandable, though, given the flick’s troubled road. At least we finally get the film! Jane Got a Gun is now available on Digital HD from VVS Films. It hits DVD, Blu-ray, and VOD beginning May 31.